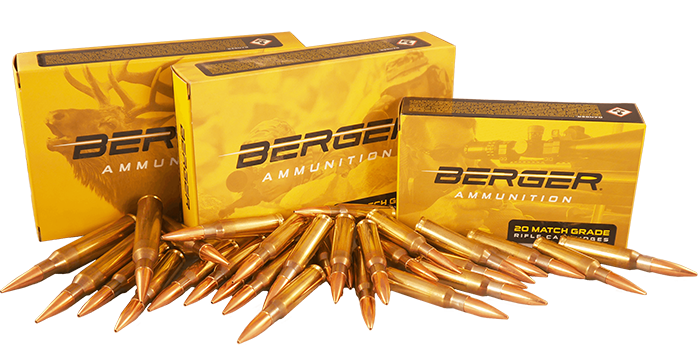 For the first time in Berger’s history we’ve purposefully designed Hybrid shaped hunting bullets that comply with the restrictive dimensional standards set by SAAMI. We did this so that hunters can shoot ammo loaded with Berger Hunting bullets in their factory rifles while feeding through a magazine. Eric with the ram he shot in New Zealand. Some might say, “What’s the big deal?” Well, frankly, SAAMI standard dimensions significantly limit the length of the nose (negatively affecting external ballistics performance) in two ways. First, the length from the end of the neck to the tip of the bullet of SAAMI standard ammo is typically so short that to make an ogive that will allow bearing surface to be forward of the neck it must be blunt and therefore have a low BC. The other way SAAMI limits nose length is by calling for typically longer throats than is optimal. When you have a long throat, the nose can’t be too long or the jump to the rifling is considerable. This is typically bad for precision and accuracy. So what you end up with is stubby nose bullets with low BC and poor external ballistics performance. We were not successful in our quest to have SAAMI standards modified to improve performance so we are forced to optimize our bullet designs to conform to these dimensions while making them as high performance as is possible under the circumstances. To this end, Bryan Litz designed Hybrid hunting bullets with noses short enough to conform to SAAMI dimensional standards. The good news is these bullets have two key characteristics that will make them popular among those who hunt with factory rifles and feed their ammo through a magazine. The first is that the nose design is a Hybrid. This design combines the best aspects of two different shapes. As you move forward along the bearing surface a tangent curve starts the ogive. Tangent ogives are known to be less sensitive to seating depth. As you continue forward on the nose the tangent curve transitions into a secant curve. Secant ogives are known to be more efficient in the wind (VLD bullets are pure secant ogives). When you combine these two shapes you get the best of both worlds (less sensitivity to seating depth differences and improved external ballistics performance). 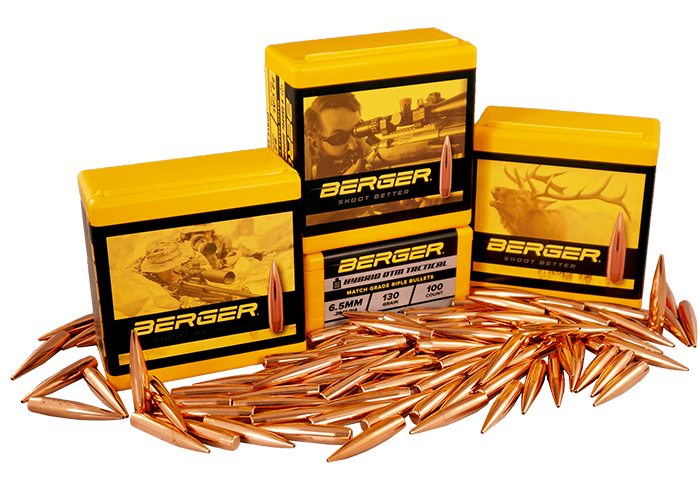 Since these new Berger Classic Hunter bullets must have a nose length that is short enough to comply with SAAMI standards we get the most external ballistics performance possible by making the nose with Bryan’s Hybrid design. 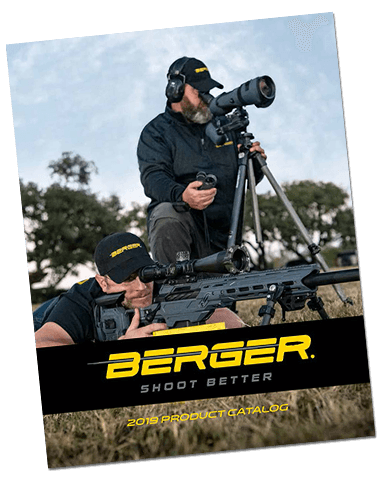 The second key characteristic is how Berger hunting bullets perform on impact with game. Our bullets are unique in that they penetrate through the first 2” to 5” of tissue and bone. Once inside the vital organs area, our bullets start to expand and while it continues through the vitals it will shed anywhere from 40% to 90% of its weight as fragments. When you combine these fragments traveling in all directions away from the primary wound channel with the energy created from this action turning into hydrostatic shock you end up with massive tissue destruction deep inside the animal vital organs. The result is either the animal will drop in its tracks from the tremendous shock or it won’t go far. This much internal damage leads to rapid loss of blood pressure or organ failure which puts the animal down fast. We know that this is how this bullet design works because we tested it not only in media but also on game. Next week we will post another blog article which tells you about how I took these bullets with me to New Zealand to test them on several animals of various sizes and at various ranges. I know from firsthand experience that hunters who try this bullet in the field will be happy that they did.